At the forefront of Burma’s proposal to UNESCO will be a pledge to relocate hotels and buildings that interfere with the ancient ruins. An American tourist has died after falling from one of the hundreds of pagodas that dot Bagan, a major travel destination in central Burma, according to the Department of Archaeology, National Museum and Library office there. A decision this week by India to grant visas free of charge to Burmese nationals, likely a boon to Burma’s outbound tour operators, has been met with some concern by an association of travel agencies that specialise in pilgrimages to the sacred Buddhist site Bodh Gaya. Thailand and Burma have vowed to stimulate tourism and raise the number of visitors between the neighbouring nations to 1.5 million by 2020. ADB estimates that tourism will account for 8.4 percent and 8.3 percent of GDP in 2016 and 2017, respectively. Plans to build stages for viewing Taunggyi’s annual hot-air balloon contests are scrapped after local groups protest the commercialization of the event. Residents of Taunggyi say that commercialization of Taunngyi’s annual hot-air balloon contests will come at the expense of local people. Domestic tourists flock to the area for religious pilgrimages, but foreign visitors may enjoy trekking in the misty mountains and viewing the natural beauty. A disaster was narrowly averted on Wednesday when a MAl airliner strayed onto a runway at Gaya airport in India just minutes before an Air India flight was due to land. Dutch tourist Klaas Haijtema is sentenced to three months in a Burmese prison for violating the country’s strict religious laws. The Asian Development Bank says a US$1.5 billion loan to Bangladesh to build a railway line will bring trade and tourism to the country’s south and improve access to Burma. News of the new routes is sure to well received by intrepid travellers, who no longer have to queue up at a Burmese embassy for consecutive days to get a stamp to enter the country. 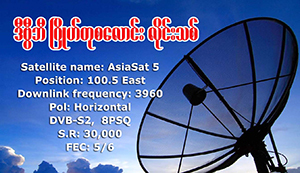 The space-based system would allow Burma’s civil aviation authority to monitor air traffic over remote areas without increasing investment in on-the-ground infrastructure. The incident occurred in an area where rival ethnic armed groups engaged in major clashes earlier this year. Heading to Mandalay? Tour the city with DVB’s street-by-street guide to discover the good, the bad and the ugly in this Burmese city. A Scottish firm has been reliving the heady days of the Irrawaddy Flotilla Company with luxury river cruises. Burma has been declared ‘2015 Destination of the Year’ by TTG Asia, but DVB have known all along where to find the hidden gems! Here’s some of our tips. Touted as “the most anticipated tourist attraction in Myanmar”, a state-of-the-art aquarium is slated to open in Rangoon next year, after months of delays. Scaling Mount Popa: “Not only did I feel a few pounds lighter when I got to the top, I also felt enlightened,” says Samantha Hussey. The India-Burma-Thailand stretch of the Asian Highway is set to open in November, so DVB has mapped out the must-see stops along the way. Join the Roadshow team as they meet the Moken— some still sailing now-troubled waters, others making a new life as fish out of water on both sides of Burma’s border with Thailand. Japan International Cooperation Agency (JICA) will invest US $250 million over three loans to help upgrade Rangoon’s existing Circular Railway line. The Doh Pyay Doh Myay Roadshow team journeys to the mountains of Karenni State. Flooding and landslides have devastated 12 of 14 Burmese states and divisions, but tourism operators have reported that the industry has been largely unaffected. Thailand and Burma signed an agreement on Tuesday to allow citizens with ordinary passports to make visa-free visits of up to 14 days. The tourism industry will get a boost with the establishment of a tourism development bank, according to the Myanmar Tourism Bank.